With only five weeks to go before the end of her secondment to the Royal Gibraltar Police Force, D.S. Tamara Sullivan is enjoying life on the Rock. With one murder investigation successfully under their belts, Sullivan and her commanding officer, Chief Inspector Gus Broderick, settle down to regular police work under the sunny Mediterranean skies. In London, the British Government has declassified a large number of top secret files regarding British Military Intelligence operations during World War Two. One file, concerning espionage operations on Gibraltar, has been smuggled out of the U.K. to Spain. It contains information that will draw Sullivan and Broderick into the dark and treacherous world of wartime Gibraltar. A place where saboteurs and espionage plots abounded. Where double and triple agents from Britain, Germany and Spain were at war in a treacherous and deadly game of undercover operations. As the summer heat reaches its zenith in Gibraltar Town, a film crew has arrived on the Rock to shoot a movie about one of the most enigmatic and legendary spies of the war years - ‘The Queen of Diamonds’. Starring Hollywood A-lister Julia Novacs and produced by local born film maker, Gabriel Isolde, it is the talk of the Rock. It is only a matter of time before past and present collide and a dangerous battle begins to conceal the truth about the Rock’s poisonous wartime history. Detectives Sullivan and Broderick become caught in a tangled web of intrigue and murder that will once again test their skills and working relationship to the very limit. Although I wish I had previously read the first book featuring Sullivan and Broderick, The Rock, it didn't spoil my enjoyment in the least that I started the series on book 2. The characters are so well developed that they encourage you to dive right into the story. 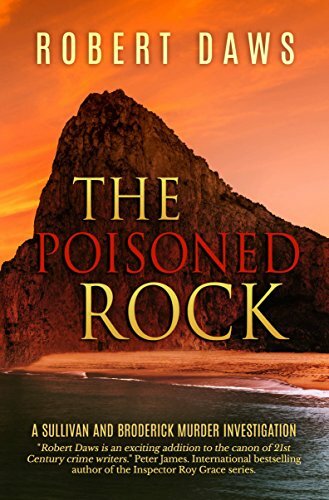 I absolutely loved The Poisoned Rock, it was so unique in the way that it merged current crime with cold war espionage and absolutely any character was a suspect at one point. My eyes were doing gymnastics as they swam over the pages and took in all the sights and sounds of Gibraltar. I have never physically been to Gibraltar but definitely went for a virtual flying visit thanks to Robert Daws! The Poisoned Rock was so atmospheric that I almost needed my Factor 50 on just to read it. A film crew descends on Gibraltar to film a movie about The Queen of Diamonds, a legendary spy during the second world war. The film is about to reveal secrets that should remain hidden so every available spanner is thrown into the works to stop this movie being screened. Spanners that will stop at nothing to prevent the truth being revealed...even resorting to murder. Anybody implicated with the film is at risk and Sullivan and Broderick are involved in a race against time to minimise the bloodshed. Robert Daws completely mesmerised me with The Poisoned Rock; I couldn't turn the pages fast enough to unearth all of the history of this much fought-after island. He effortlessly swings between World War II espionage and the present day to ensure that page after page is turned until the final breathtaking reveal. 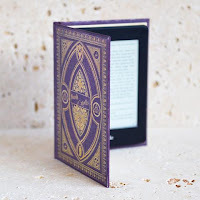 Although I do like to read books in order, I will make an exception in this case and I plan to add Book 1 of the Sullivan and Broderick series to my reading list.